I am really excited to be featured amongst seven other incredibly talented Nigerian women at the Organisation of Women Writers of Africa’s Yari Yari Ntoaso international conference on literature. Not only have I become friends with three of the women on the bill Wura-Natasha Ogunji , Lola Shoneyin and Bibi Bakare, I am also a fan of their work. So I feel so honoured to be in their company. We will be speaking on topics ranging from identity, to the craft of writing, to literary activism. Angela Davis, Ama Ata Aidoo and Sapphire and many other international well known writers will also be in attendance. My session is themed ‘New venues, New audiences; Literature and Technology’. We will be discussing editing, publishing, distribution and the use of other media to network and communicate. Technology is one of the many things that I am passionate about especially in relation to communication,capturing diverse audiences and the innovative ways in which technology provides opportunities and broadens scope, so this is something I am really looking forward to. Coincidentally this will be my first time in Ghana so I will try to take as many photographs as possible. 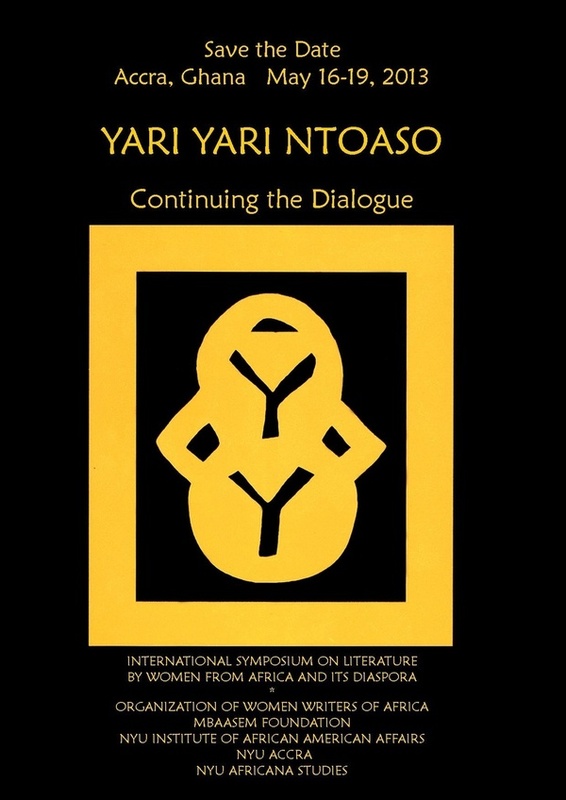 Yari Yari Ntoaso will consist of panels, readings, performances, and workshops, and will be devoted to the study, evaluation, and celebration of the creativity and diversity of women writers of African descent.. Fifteen years after OWWA’s first major conference, Yari Yari Ntoaso continues the dialogue of previous YariYari gatherings, connecting writers, scholars, and readers.